The time needed for the treatment depends upon the condition and severity of the problem. We utilize laser therapy on incisions post operatively to aid in pain management and faster healing. These treatments are generally a one time treatment. Other one time laser therapy situations may apply to wound care of ulcerations or infections. However, with more chronic or severe pain, we will recommend a series of treatments. The treatment length will vary but most are approximately 3-8 minutes. Please allow at least 20 minutes per visit when scheduling. Our veterinarians will tailor the length of the series based upon the condition and the response. For example, for chronic low back pain, we may recommend 6 weekly treatments. Some chronic conditions such as arthritis may require ongoing treatments. If your cat has responded well to the laser, we may be able to keep the pain under control with monthly treatments. Laser treatment for cats are cumulative, so each additional treatment facilitates a greater improvement in your cat's condition. 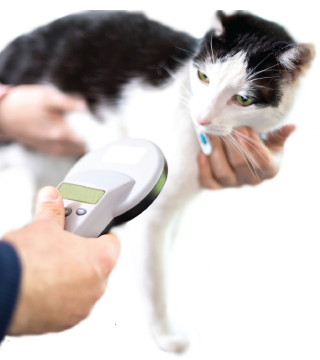 One of our veterinarians would be happy to help devise a sufficient laser treatment schedule based on your cat's needs.